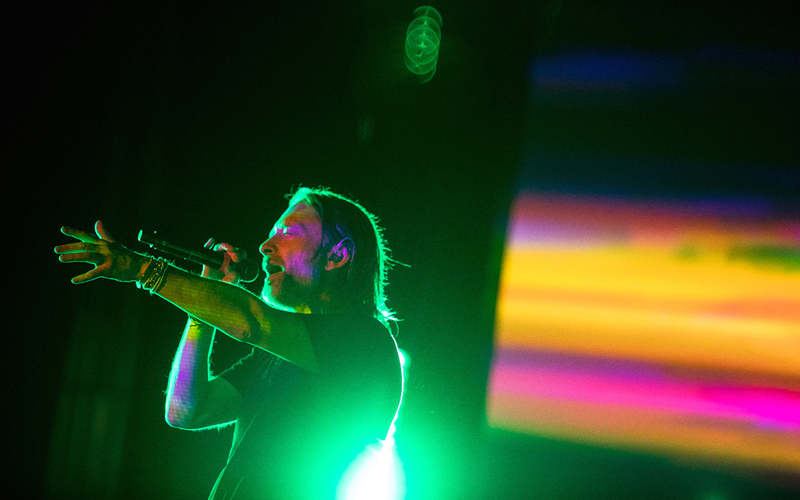 While Radiohead remain a trendy — though rather unlikely — pick for a potential headlining gig at Boston Calling 2019, frontman Thom Yorke dropped by the city over the weekend to remind us just how much fuel he has stored within his own solo tank. Bringing his Tomorrow’s Modern Boxes tour to the Boch Center’s Wang Theatre on Saturday (November 24), Yorke strolled through a jagged edge of solo material, aided by frequent collaborator Nigel Godrich on sonics and Tarik Barri visuals, touching on his own LPs as well as exhibiting all-too-short dalliances with his recent Suspiria soundtrack and his Atoms For Peace side project. Vanyaland’s Ben Stas was all around the theatre capturing visuals of Yorke’s calm but frenzied performance, as well as the opener, cellist Oliver Coates, and you can scan through his full gallery below.